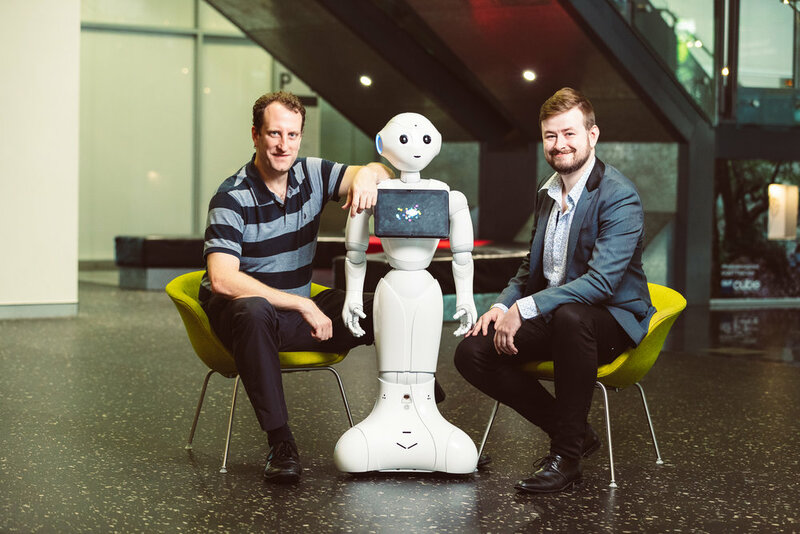 We’ve developed a variety of systems to use with Pepper the humanoid robot, from retail assistants, to restaurant greeters, to a robotic concierge. Our use of Pepper is proven to bring in more customers to business, and give them one heck of an experience. We operate on a very simple principle; win win win. This means every solution we provide has to be a win for the business, a win for the staff and a win for the customer. Not only is this the only ethical way to operate a robotics business, but the most profitable way as well. When customers have great experiences, research proves they reward the business with increased spending. Our team is made up of some pretty great talent. Michael (on the left) is our technical genius, with a Masters degree in AI and a computer vision expert. Owen (on the right) is an award winning industrial designer and former sales manager. And of course, Pepper the humanoid robot, the lovable face of the company.